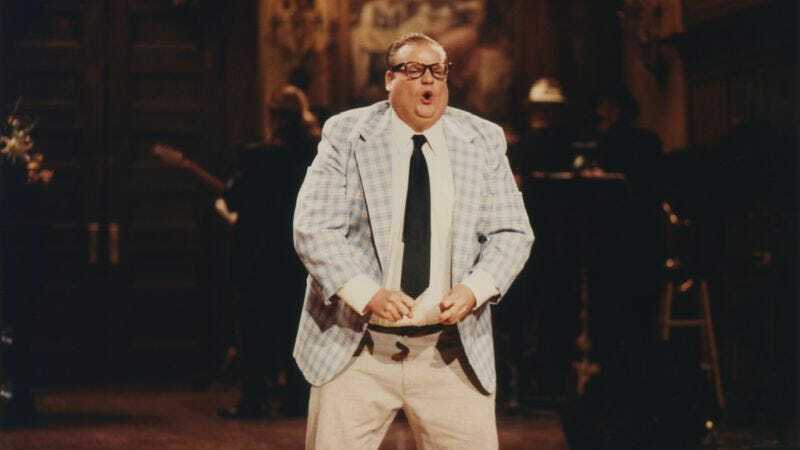 There are too many good Chris Farley stories. That’s a central problem of I Am Chris Farley, the documentary from the same producers behind I Am Steve McQueen, I Am Bruce Lee, and I Am Evel Knievel. Farley simply had too many admirers and close friends to fit all of their recollections about his short, intense life into 95 minutes. The relentless parade of talking heads in I Am Chris Farley leaves little time for the moments of profundity to linger before adding more testimony from someone who knew the comedian well. In a way, it’s a good problem for a documentary to have. Every major player shows up: Lorne Michaels, Adam Sandler, Mike Myers, David Spade, Bob Odenkirk and the rest of the SNL crew, Farley’s family (brother Kevin is listed as an executive producer), his friends from college, even the guy who put him on stage for the first time at summer camp. The film’s IMDB page lists 27 cast members, and they all have a lot to say. That speaks to the impact Farley had before he overdosed in 1997 at age 33, an end that sadly surprised no one who knew him. I Am Chris Farley hits all the usual bio-doc beats, opening with a montage of talking heads saying a line about Farley before going into his childhood. Between the montage and the talk of his early years is footage of younger brother Kevin doing stand-up at what appears to be Comedy Club On State, located in Farley’s hometown of Madison, Wisconsin. It’s a short bit where Kevin discusses how much he looks like Chris (but gets mistaken for someone else) that sets up Kevin as the film’s tour guide. Driving an enormous vintage Cadillac through Madison, he shows the crew the house where Farley and his four siblings (four boys, one girl) grew up and, eventually, into the cemetery where his older brother is buried. Footage of Kevin leaving the stage helps close the film, the insinuation being that the younger Farley carries on a family tradition. But both of the stand-up scenes of Kevin unnecessarily clutter what is already a packed film. 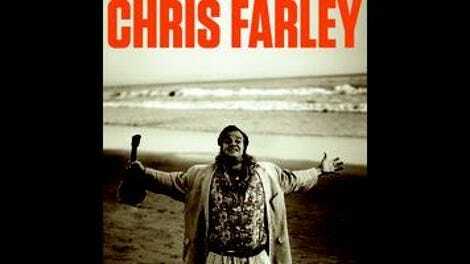 But I Am Chris Farley spends less time than maybe expected dwelling on the sadder elements of Farley’s life. Although he went to rehab 17 times, there’s little discussion of his actual habits, aside from his fondness for alcohol. (Harder drugs aren’t mentioned, even though an overdose of cocaine and morphine killed him.) His diet gets more attention than drugs. That’s likely because the people involved in I Am Chris Farley want to pay tribute, and know he wouldn’t want them to be sad (or give attention to his personal problems, which caused him tremendous guilt). While the interviewees speak of his troubles, they keep it general and avoid salaciousness. But it also feels a little lacking. Farley’s death on December 18, 1997, happens two minutes before the end credits roll, announced via footage of an old news report. The only details are the day it happened. His body was found by younger brother John, who’s interviewed in the film, but that’s not discussed (probably for obvious reasons), nor are the details of his incredibly sad final days. It’s a difficult task, telling the story of a beloved comedian who died in such a pitiful way, especially so when the documentary about his life counts on the participation of his family. In I Am Chris Farley, Farley’s death is anticlimactic, undercut by grim inevitably. But blowing past his death and into the credits feels like a disservice to a complicated figure like Farley, even if, as Kevin says, “He would never want to bring any sadness” into the proceedings. As a thoughtful examination of its subject’s life, I Am Chris Farley has its moments, but it plays more like a loving tribute than documentary, as if a bunch of his friends got together to tell stories. In that way, it succeeds, but it’s hard to shake the feeling that the picture isn’t complete.